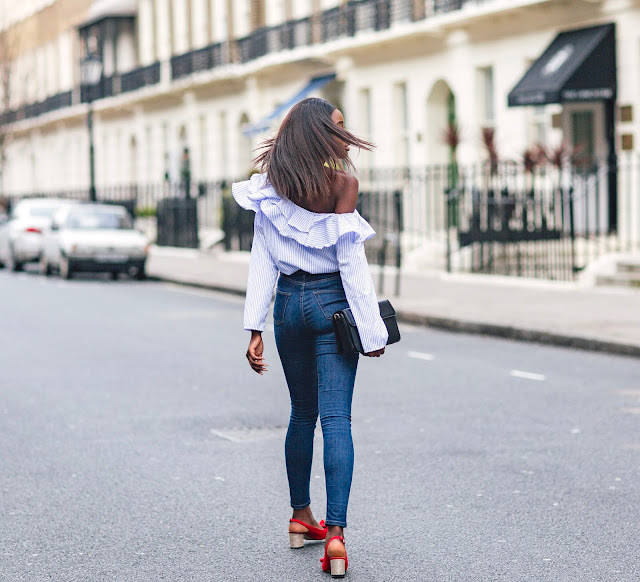 A couple of weeks back we had a blast of sunshine and I for one took advantage of the warmer weather by wearing less and baring more skin. It was the perfect time to drag out this one shoulder ruffle top that has been sitting in my wardrobe patiently waiting on Spring to make its debut appearance. 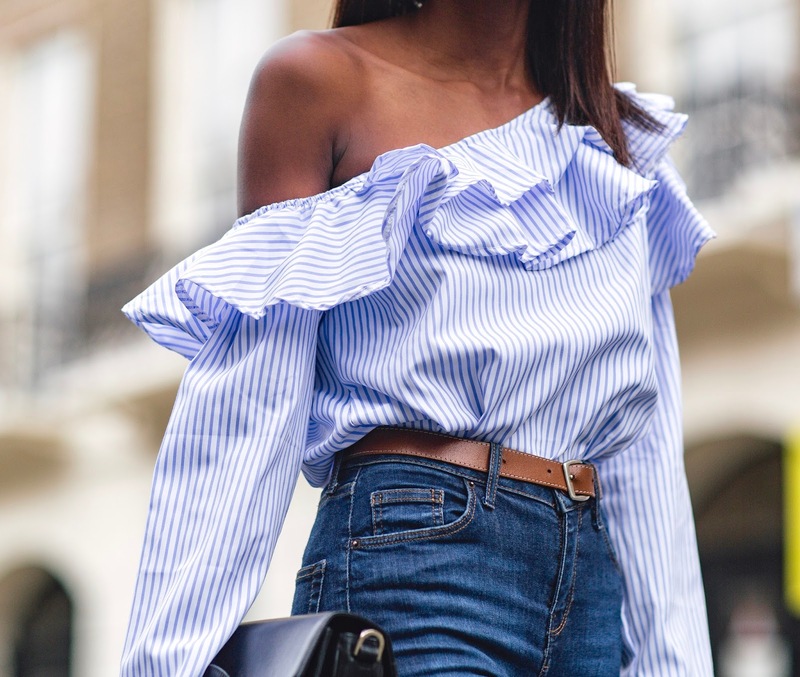 The asymmetrical top or one shoulder tops isgoing to be one of this summer's popular trend piece replacing the off the shoulder trend from last year. I am here for this particular trend. 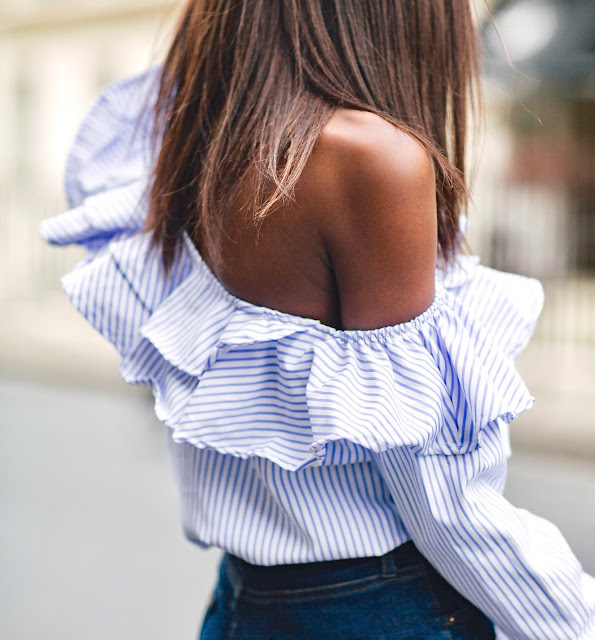 I loved this one shoulder ruffle top so bad that I have already ordered another one shoulder ruffle top from Shein.com already but with bigger ruffle detailing. I opted to pair my one shoulder ruffle top with a pair of jeans for a very casual affair. 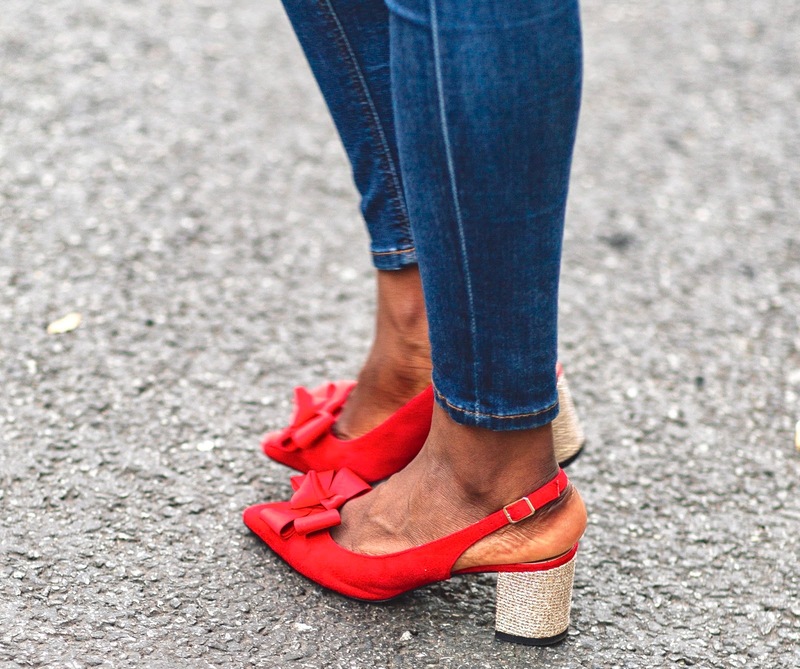 It is a versatile piece that can be worn with a number of separates from skirts to culottes to cigarette style trousers. The options are endless. 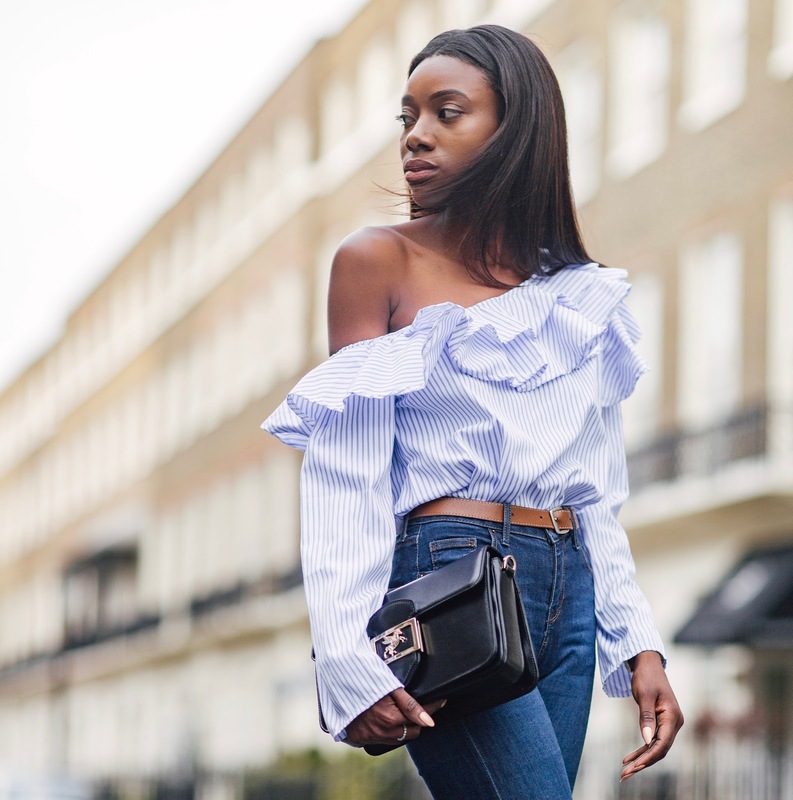 The fabric of this Shein one shoulder top is light yet sturdy and pretty ideal for the summer months when humidity can be an issue. I went for a size S and I find it to fit me perfectly. These bright red Russell & Bromley shoes where the perfect to add a pop of colour to the outfit. 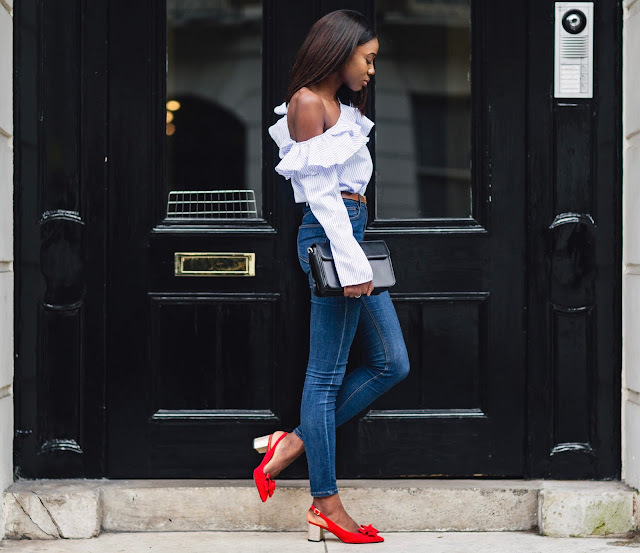 I so often go for high heels but occasionally i will lean toward the midi heels as they are a lot more comfortable while still adding a couple of inches more to my frame.